We can all attest that Winter was especially drawn out this year! BeautyADDICTS has products used by industry professionals to help refresh and brighten skin; a sheer, matte bronzing powder and a crème to powder foundation. Both are rich with green tea and vitamins. No matter what your taste, BeautyADDICTS has something for everyone. It's true. My skin was looking quite pale after our long winter and was in dire need of a touch of color! I was certainly in the market for a new foundation and a natural looking bronzer with skin care benefits. Thankfully, I was contacted by Beauty ADDICTS and they asked me to review their amazing crème to powder foundation and matte bronzing powder. How exciting for me! Capture the sun all year round with this groundbreaking ultra-sheer, perfectly neutral, matte bronzing powder. Formulated with pure pearl powder to stimulate cell renewal and packed with green tea and vitamins A, C, D and B5. Buildable coverage in one flawless shade. My Experience: The foundation goes on perfectly smoothly. It is so easy to apply with the included sponge applicator. I absolutely love the full, yet natural looking coverage it provides. My skin really looks radiant and all of my flaws are completely hidden. 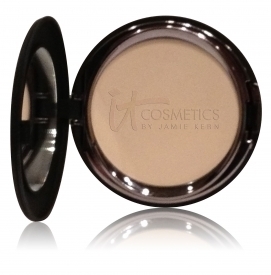 The bronzing powder gives me the perfect touch of sun-kissed color that looks completely natural. Some bronzers can give off an orangey-fake look. 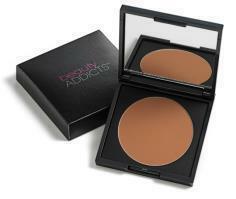 BeautyADDICTS HydraSUNRays bronzing powder goes on beautifully. I apply it all over my face, neck and chest area with my fluffy powder brush, and then I rub it in with my finger tips to ensure proper coverage, and a natural glow. It leaves me looking healthy and radiant. I love that it has a matte finish, too. IT Cosmetics® founder Jamie Kern Lima works with leading plastic surgeons to develop innovative, clinically-proven, problem-solving products infused with the latest breakthroughs in anti-aging technology. If there is a beauty issue that troubles you, most likely I suffer from it too. I pour my heart and soul into creating innovative and effective problem-solving products that truly make you look and feel your most beautiful! As a former news anchor and a sufferer of Rosacea I wanted to have beautiful looking skin, but every product I tried (and I tried them all!) either wouldn’t cover- or if it did it would crease and crack and make me look 10 years older! That is when I knew there had to be a better way! At IT Cosmetics we work with plastic surgeons to infuse cutting-edge anti-aging technology into truly innovative high performance products designed to give you your most beautiful skin ever. As most people know, I absolutely love trying new beauty products. I was very excited to get the chance to review IT Cosmetics. I was sent samples of their Tightline Full Lash Length Mascara Primer, Celebration Foundation, Bye Bye Under EyeAnti-Aging Concealer, and the Brow Power Pencil to review. A true game changer in mascara and eyeliner technology! It’s your eyeliner, black mascara primer and mascara in one! Unlike most other mascara brushes that are larger and leave the first 1/3 of your lash roots bare, this ultra-skinny wand gets to the root of your lashes for ultimate length, volume, and the look of a full lash line. The wand also allows the primer’s conditioning agents to nourish lashes at the roots giving your lashes the most effective dosage of lash-enhancement and protection ever! My Experience: I am definitely loving the amazing primer! 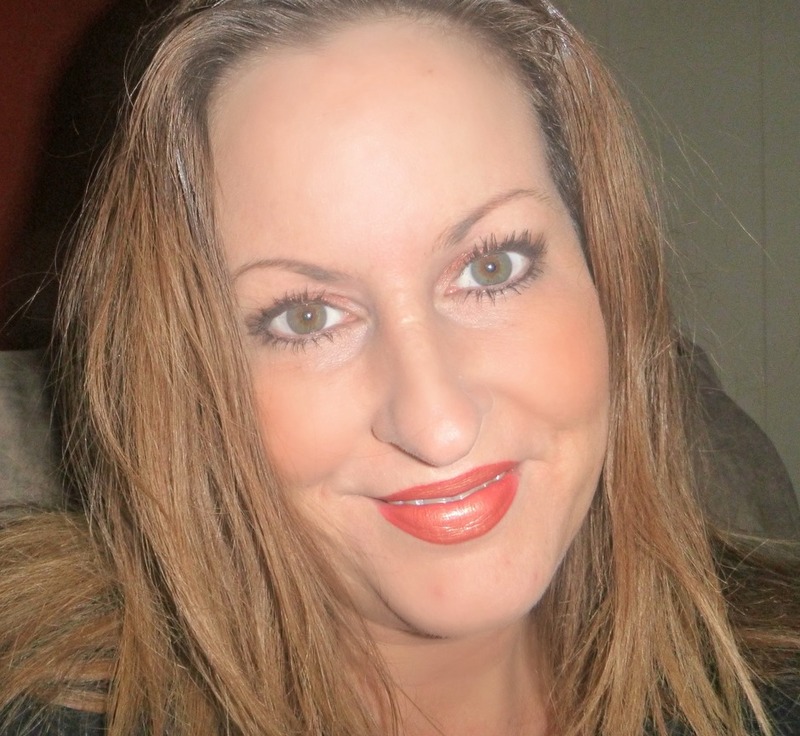 I am able to use it alone without needing mascara for beautiful, lush, long and full lashed. They look beautiful. 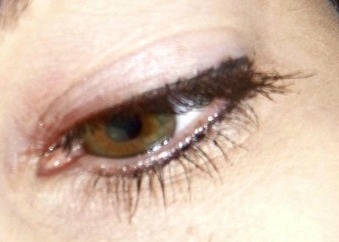 For thicker and fuller lashes, I can apply my mascara over it.I also use it as an eyeliner in a pinch. I absolutely love the tiny applicator brush that allows me to reach lashes that were almost invisible. My lashes are definitely looking gorgeous these days! Full coverage, waterproof, yet moisturizing, concealer with anti-aging ingredients to combat dark circles while it conceals. My Experience: This concealer is definitely one of the best ones I have ever tried because it really covers under eye circles and blemishes or red marks very nicely. Most concealers I've tried look cakey and settle into fine lines making me look old, but this one is moisturizing and keeps the area looking supple. Universal Brow Pencil works on ALL Hair Colors. Patent pending Complex Restores Hair Follicle Health. Exclusive Oval Tip for the Most Natural Looking Brows. My Experience: This eye brow pencil is amazing! I always use an eyebrow pencil to fill in and add a touch of drama to my brows. The color is perfect and I love that it has a brush! Full-Coverage Anti-Aging Foundation with Hydrolyzed Collagen, Peptides and Drops of Light Technology. My Experience: I absolutely love this foundation! (I chose the light/medium shade) I had been having a very hard time finding a foundation that does not settle into my fine lines, making me look 85 years old. This foundation leaves my skin looking flawless and beautiful. I have never before found a powder foundation that works this well. It is amazing. No lines on my face, anywhere!